or, use the Do Not Disturb software setting described in the article http://support.apple.com/en-us/HT5463. 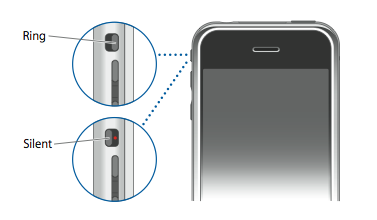 The iPod touch does not have a ring/silent switch, so you can silence the shutter by manually setting the iPod volume to its lowest level. Even with your device silenced, you can still hear audio when you initiate 2-way video chat unless you set the volume to its lowest level. As background, all iPhone and iPad devices make a shutter sound when taking pictures. This is by Apple’s design, so that people around you know that a picture is being taken.